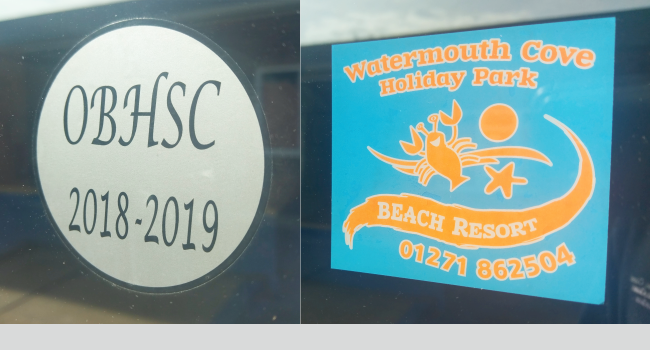 Versatile, vibrant and non fade, our car stickers are ideal for your club, charity or event. 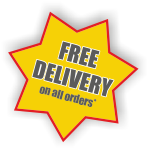 Sticky to front and designed to be easily placed on the inside of car, van or truck windows. If you need your stickers to be removable then choose our self cling vinyl. We offer a free artwork service to help you design the best looking car stickers. Vibrant long lasting window stickers are perfect to give or sell to your members. Most of whom will be more than happy to promote the club they support and will act as a great advertisement of your club. Using UV stable inks these will last for years. Check out our Clubs & Associations Section Here. Our windscreen parking permits are reverse printed onto self-cling vinyl or self-adhesive vinyl. They can be sequentially numbered or have dates of your choosing. We can print to your design or we can help put a design together for you free of charge. People are proud to support charities so why not give or sell them car stickers to do just that. Not only will they be pleased to have something physical showing their support, they will also be promoting your charity at the same time! Check out our Charity Section Here for more information. 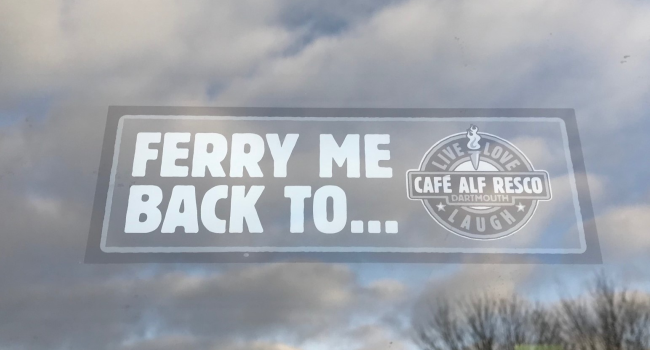 If you have a Brewery or Micro Brewery window stickers are a great way to advertise your product. Give away or sell to your customers to get your product known. We only print onto high quality vinyls with vibrant non fade inks making these stickers very durable. Car window stickers have multiple uses for Schools, Colleges and Universities. For short term use choose our Low-Tack or Self-Cling option for ease of removal. 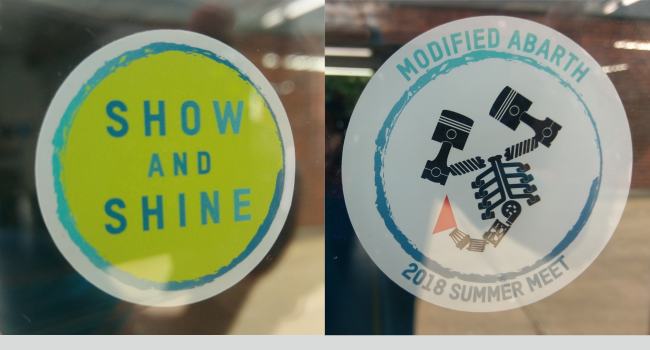 Window Stickers are a great way to promote an event and even to give or sell at the event. We even have specialist inks such as flourescent and metallic to really make your event sticker stand out. Call or email for more information.